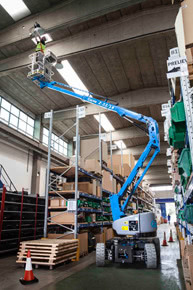 As a newly designed model, it’s packed with features – non-marking rubber solid rubber tyres, low energy consumption leading to a full day working cycle, 15cm ground clearance and the ability to drive at maximum height. 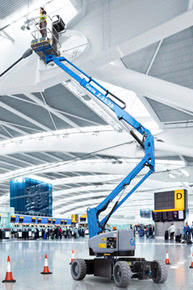 The Genie FastMast system is a productivity feature that allows for an operator to go from full height to the ground with one function without lowering the secondary boom. This is a great feature for operators who need to go down and grab materials frequently. 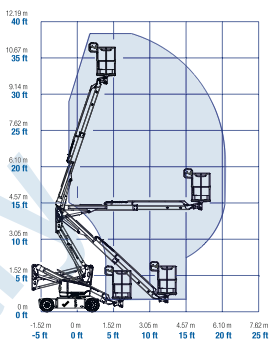 To find out more about Cherry Picker Hire in Yorkshire, Pinewood and Harpenden, get in touch with us today.